Drop by the Pearl Factory before heading to the old Hutong area. A Hutong rickshaw trip leads you to where old Beijingers lived, passing through the narrow alleys and lines of courtyard houses. Today you will be able to see the World Heritage-Great Wall of China. We select Mutianyu Great Wall which is less crowded and preferred by foreign tourists. Drop by the Cloisonne Factory to appreciate Chinese handicraft culture. Drive back downtown to visit the majestic Temple of Heaven, where the empeors worshiped heaven for good harvest. Have a pleasant morning in the beautiful imperial garden Summer Palace, and pay an exterior visit to the modern Bird’s Nest and Water Cube in Olympic Green. After lunch, be transferred to airport and fly to Xian. Xian airport to hotel transfer. In the afternoon, you will visit the Big Wild Goose Pagoda and the ancient City Wall. The Big Wild Goose Pagoda houses a good collection of Buddhist relics. Cycling on the ancient wall is a special experience that many people like to try (extra charge). Morning visit at the Shaanxi History Museum, a first-rate museum that displays Chinese history, and the famous islamic historical site-Great Mosque. Be transfered to airport and fly to Shanghai. Shanghai airport pickup and transfer to hotel. This morning, you will first visit Yuyuan Garden, a famous south China classical garden with pavilions, bridges, and streams. Then head to the Jade Buddha Temple and the Silk Factory. 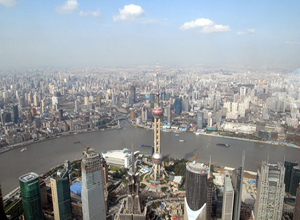 Finally we will stroll in the symbolic attractions of Shangai-the Bund where you can trace Shanghai’s past and Nanjing Road, the famous pedestrian shopping street in the world. *China internal flights: Beijing-Xian, Xian-Shanghai. We just sent an email to you, please check. Thank you!